Texas Gov. Greg Abbott and Lt. Gov. Dan Patrick, who both won re-election in November, will kick off their second, four-year terms on Tuesday after being sworn into office on the steps of the Texas Capitol. The inaugural ceremony will begin in the morning, with speeches from both Republicans — Patrick first, Abbott second — set to begin at 11 a.m. Check back on this page for a livestream of the event. 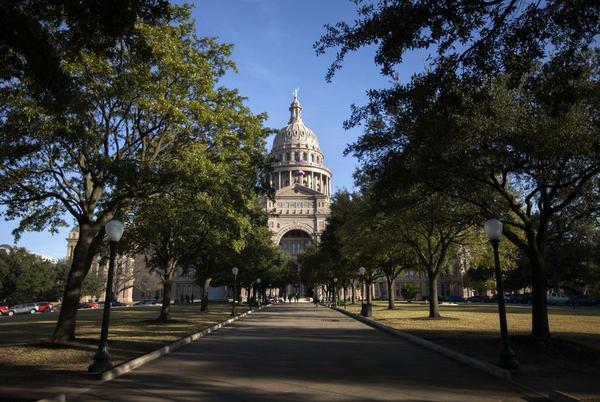 Though Abbott isn't expected to announce his most urgent legislative priorities until his State of the State address early next month, you can expect him to allude to those goals in his speech on Tuesday. After winning their respective races by slimmer margins than they did in 2014, Abbott and Patrick — along with newly-elected House Speaker Dennis Bonnen, who also is a Republican — have promised to work together during this year's legislative session to address fundamentals like school finance and property tax reform. Such a united front among the "Big Three" hasn't been seen in years. The legislative session runs through May 27.